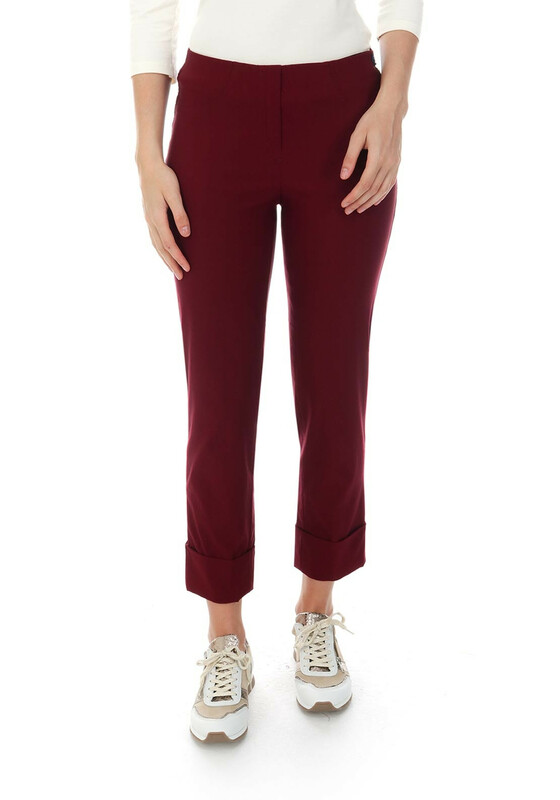 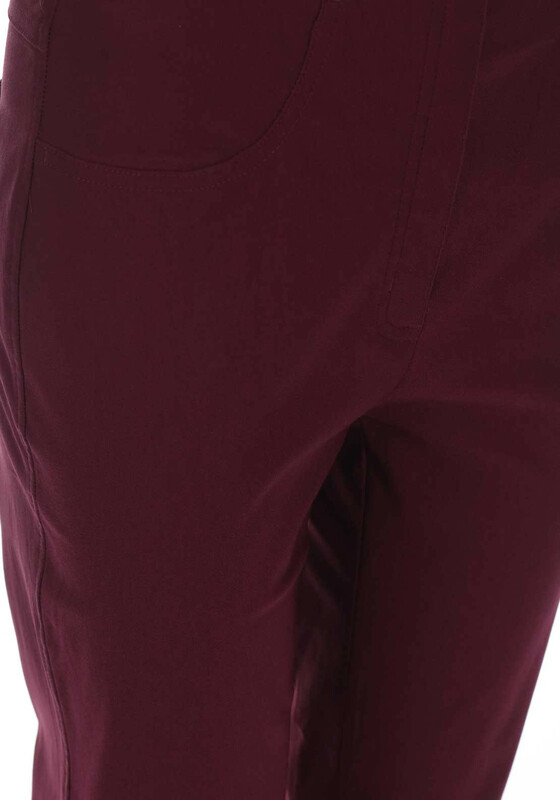 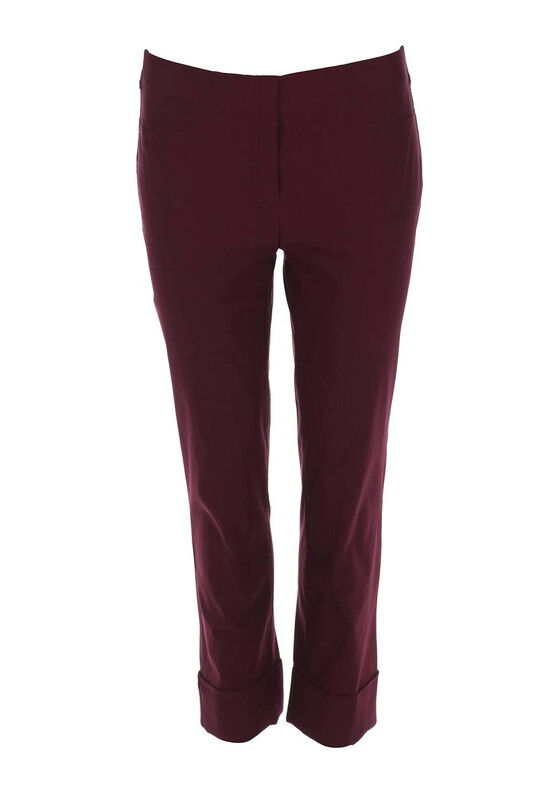 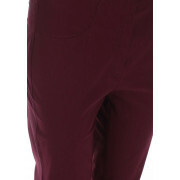 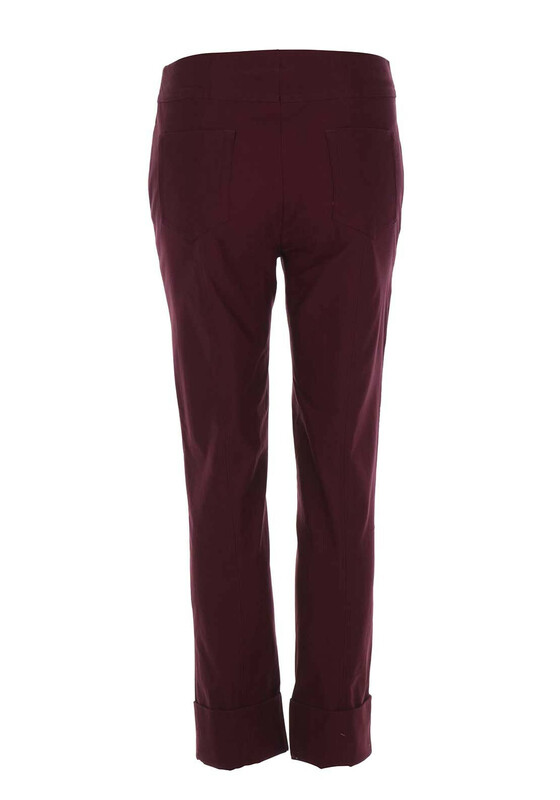 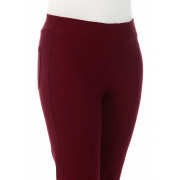 Presented in a rich wine shade, the Bella 09 trousers from Robell would be a great alternative to classic black. 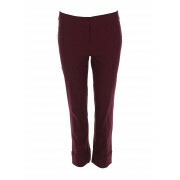 Made from super stretch fabric which will deliver excellent comfort. 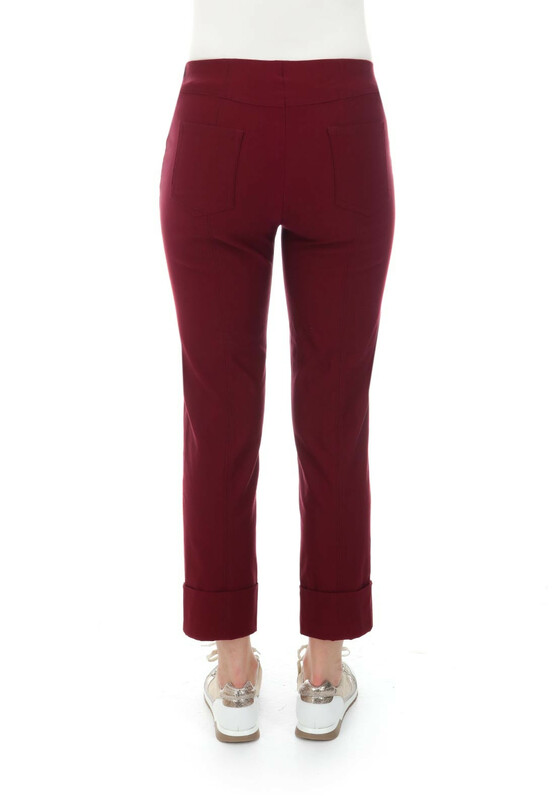 Styled with a slim fit and cropped leg length. 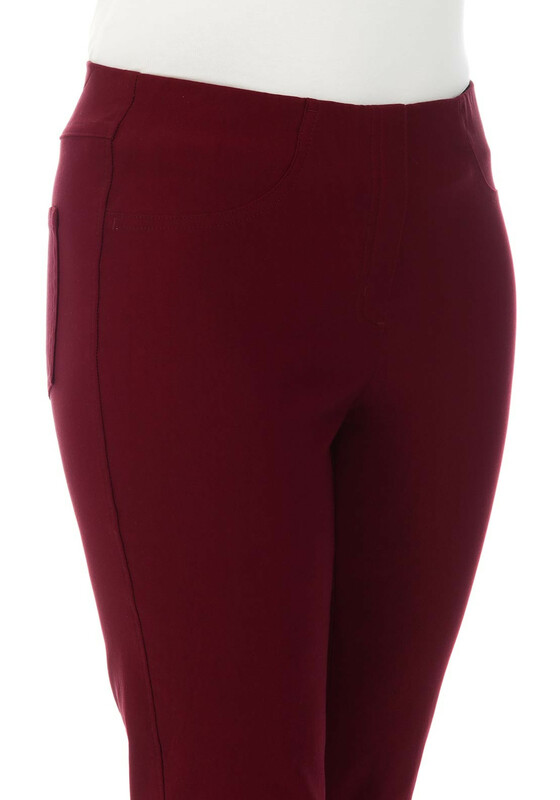 Featuring turn up detailing at the leg cuffs and an elasticated waistband with false zip front.